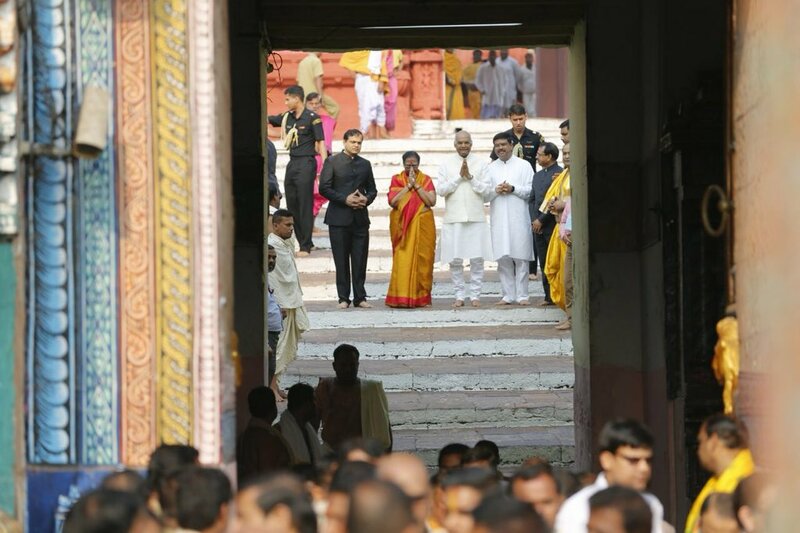 Puri: President Ram Nath Kovind offers prayers at Puri Srimandir along with his wife. 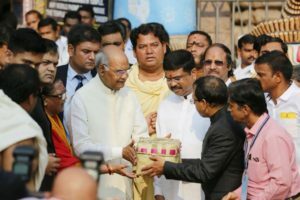 Chief Administrator of Sri Jagannath Temple Administration (SJTA), Pradeep Kumar Jena and Collector Arvind Aggarwal received President Ram Nath Kovind at shree Jagannath Temple at Puri and also accompanied him during Darshan. Union Minister Dharmendra Pradhan accompanied President Ram Nath Kovind to shree Jagannath Temple at Puri. 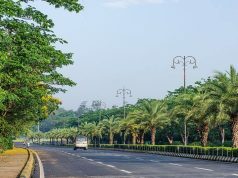 President Ram Nath Kovind has assured to look into the demand of a permanent office of ASI in Puri says Revenue Minister Maheswar Mohanty . 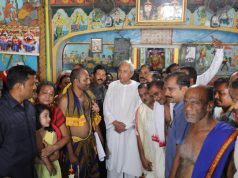 Servitors express displeasure over deviation in conduct of some services during President Ram Nath Kovind’s Puri Srimandir visit.